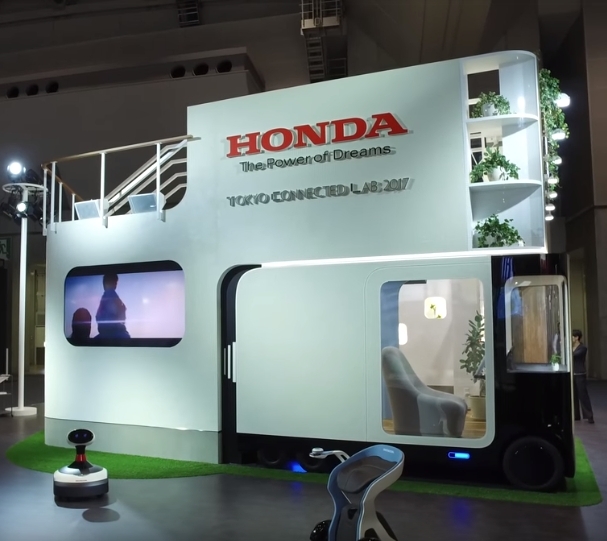 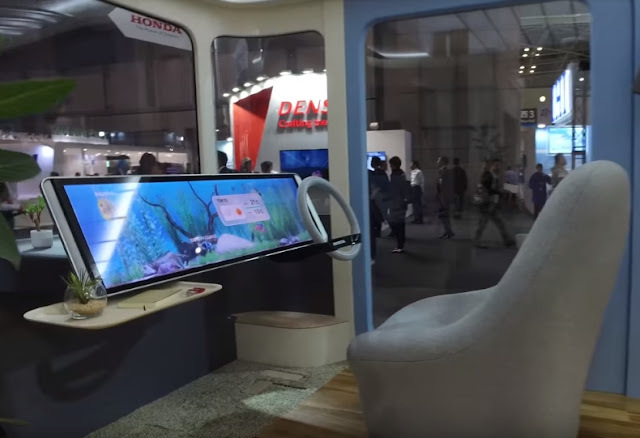 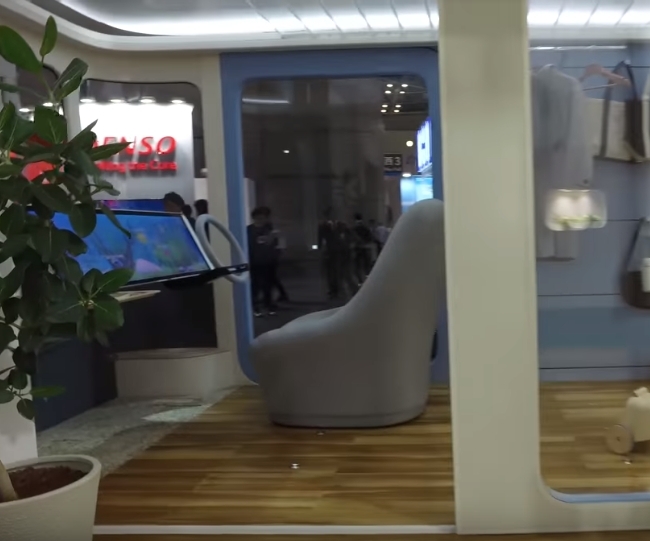 In Tokyo Motor Show 2017 Honda showcased a "Self-Driving Room" called Honda IeMobi Concept. 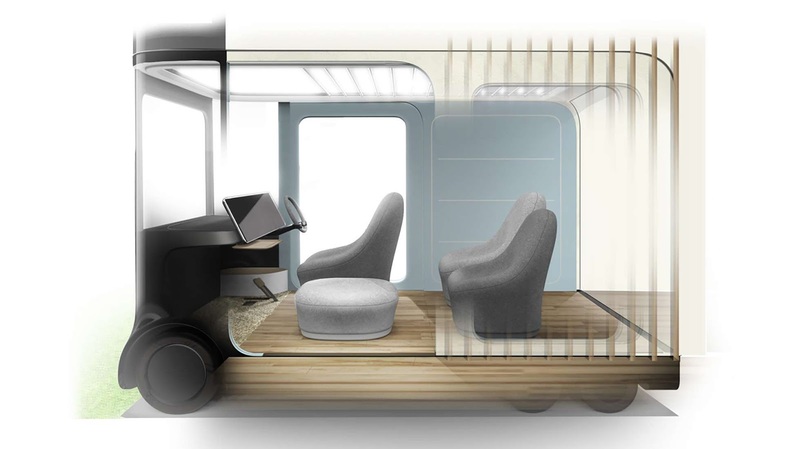 The six wheels room-type minivan, whose name is coined from the Japanese word ie (house) and "mobility", has a 5 sq. 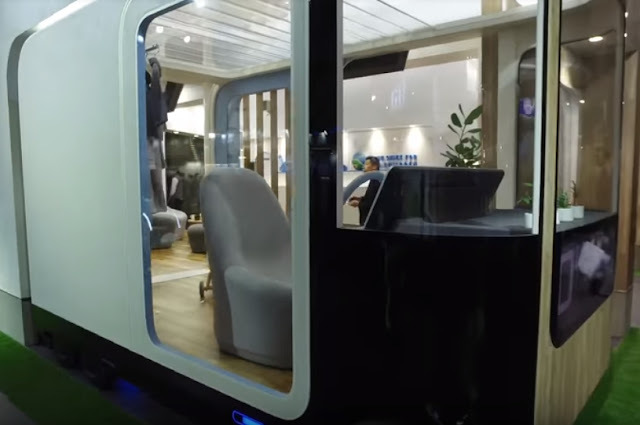 m. area and can be attached to a modular house for use as a living room. 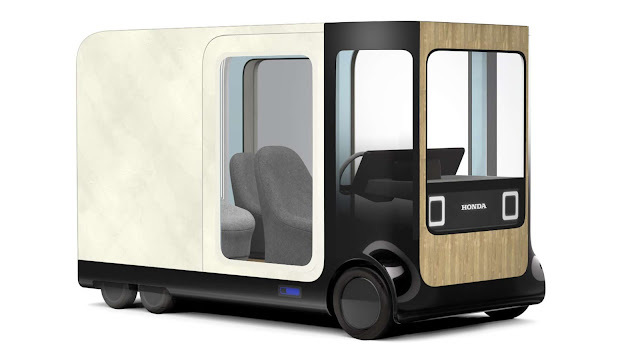 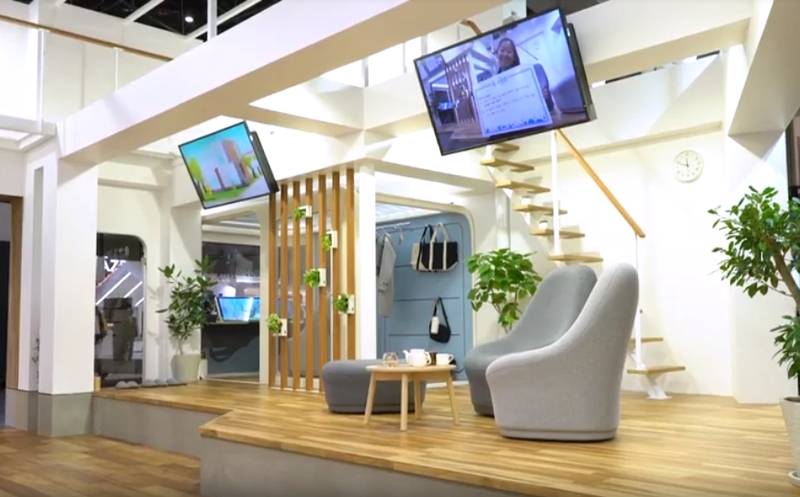 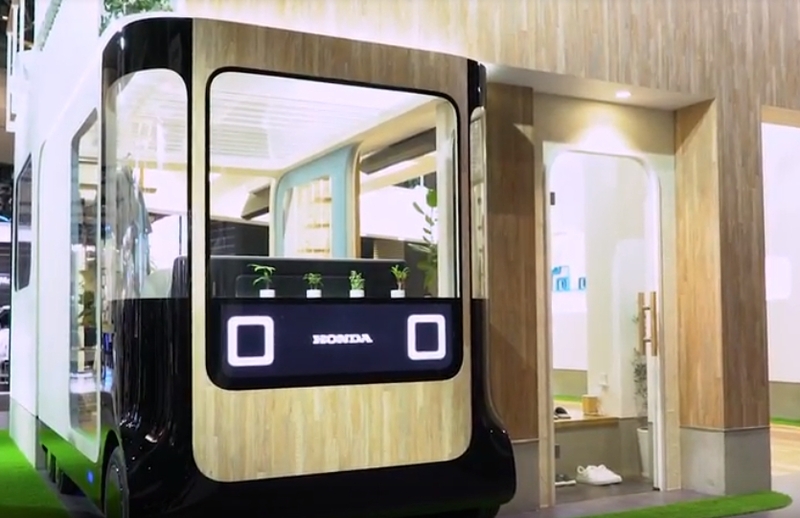 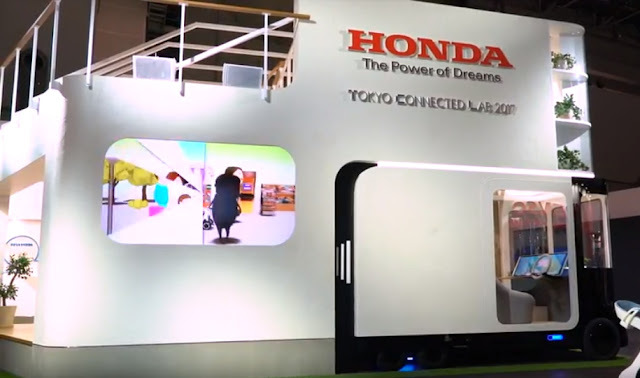 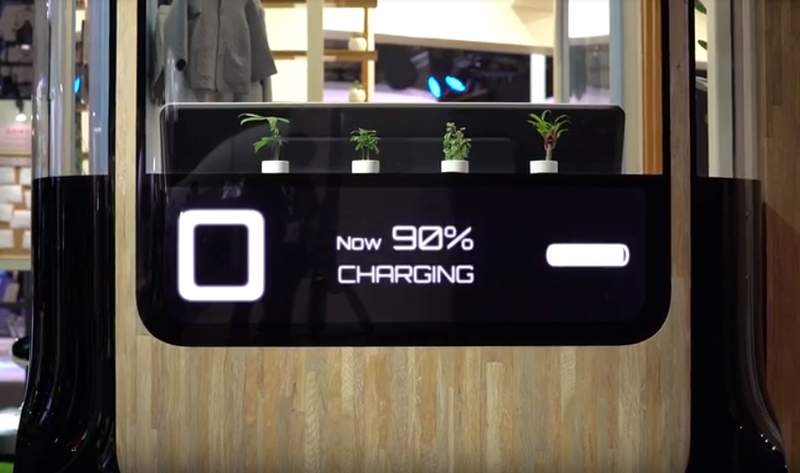 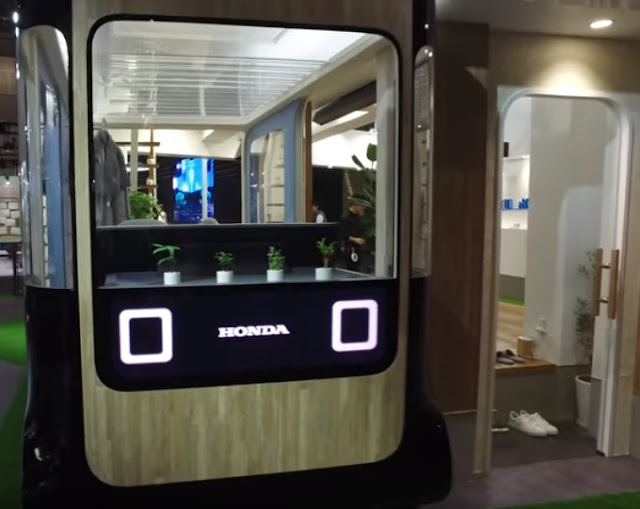 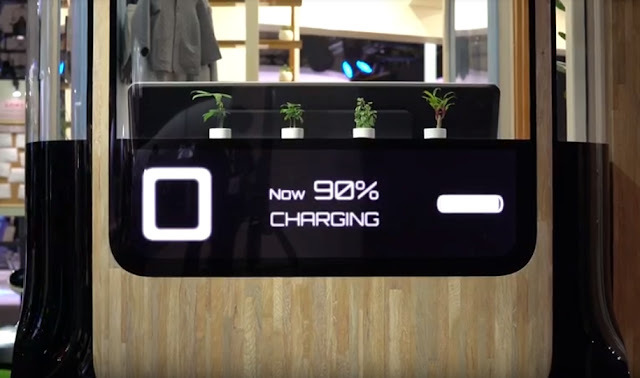 For the near-future society where everything is connected digitally, Honda will provide a modes of warm, face-to-face “connection.” The Honda IeMobi Concept connects to the home seamlessly, connecting electricity and entertainment information from car to home, and home to car. When parked, IeMobi becomes a “room” with around 5 m2 of living space. 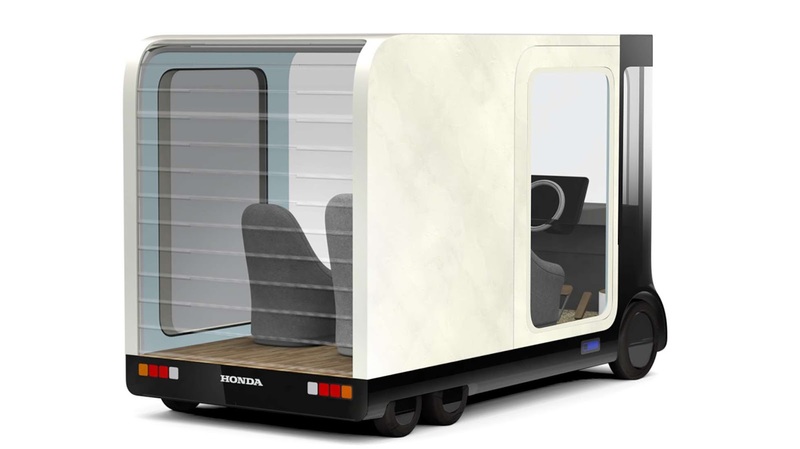 By using IeMobi matching the user’s lifestyle, such as a guest room to invite friends, or a mobile pantry for weekend shopping, new possibilities in mobility and lifestyle are born. 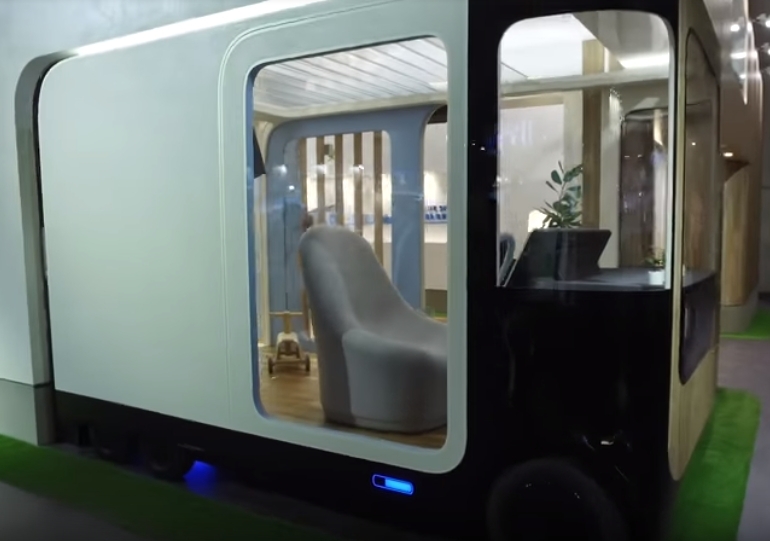 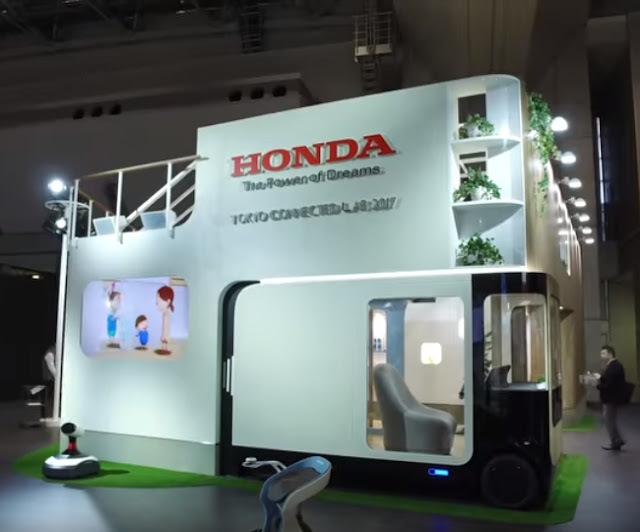 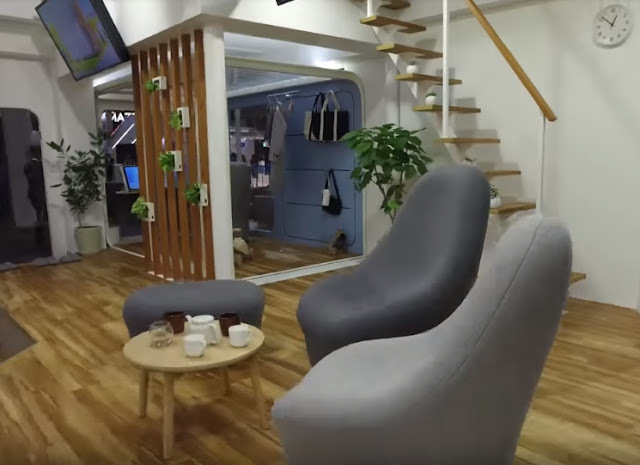 Honda IeMobi is a concept module of the smart modular house, but one which you can hop into and drive off in at your leisure.